How is it that this website is almost a year old and I have not posted about the 24 Crayola Crayons boxes? I honestly do not collect as many "normal" boxes as specialty boxes. If I had all the space in the world or a museum where people could come and see all these boxes I would totally collect, but since I do not I usually buy these kind to color with or I see a box design I really really like. I have put all the crayon boxes side by side, the fronts, backs, crayons and bottoms (when applicable). From 2012 to 2013 not a lot changed, but a lot did from 2002 to 2012. 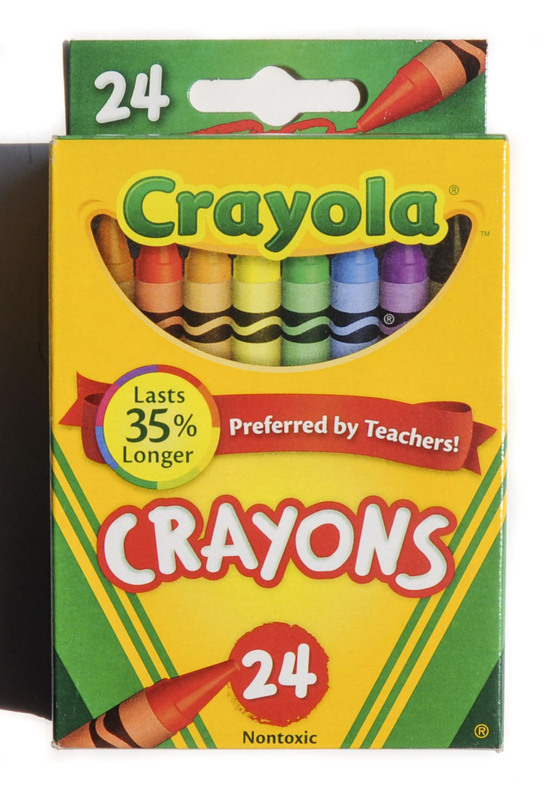 The box changes from 2002 to 2012 include; a font change of the 24, change in the crayon picture on the front, addition "Preferred by Teachers! ", a ribbon, the scribble removed, a crayon added to the front, 24 and crayons removed from small text, the v design has different widths for the stripes, "Bright and Vivid Colors!" removed and a crayon there instead. 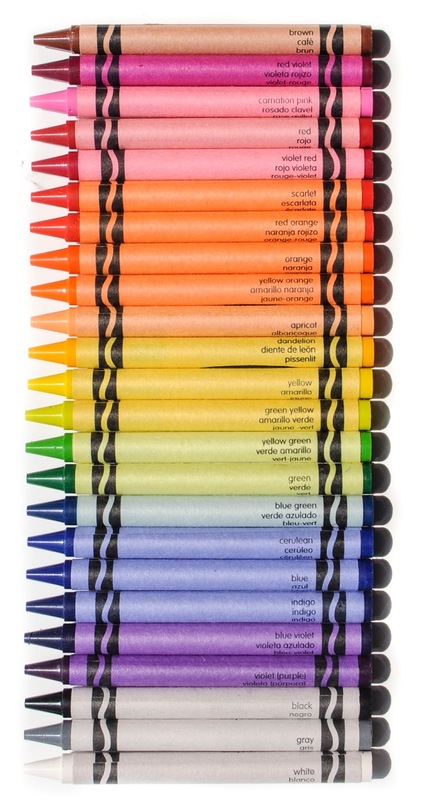 The font of crayola and crayons is the same. Crayons is straightened out in the newer boxes. I included the 2014 count box in this post. The box did not change from 2013 to 2014. The style and code numbers also did not change. The year on the box was the only difference. 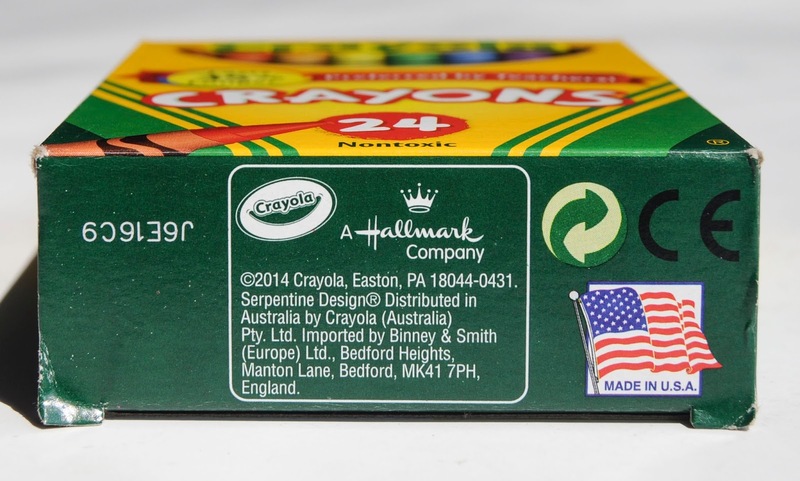 The box changes from 2012 to 2013 box include; a different size crayon picture on the box, the 24 on the top of the box is changed to white, the colors in the crayon smile picture are different, the ribbon is different, and "Last 35% Longer" is added. The crayon wrappers from 2012 to 2013 did not change. The crayon wrapper from 2002 to 2012 did change. The font is smaller, and the crayon name now comes in 3 font sizes. The back of the crayon boxes is the most different from 2002 to 2012. Crayola went from Homework Helpers and Inspiring Ideas to Eco-Evolution. This shows the shift in attitude and importance on the environment in the 2010's. Binney & Smith Logo was removed from the box. The style number did not appear on the older box, it was implied because the code number includes the style number. On the newer boxes they list it by itself. A quality guarantee was added, with phone numbers to call. 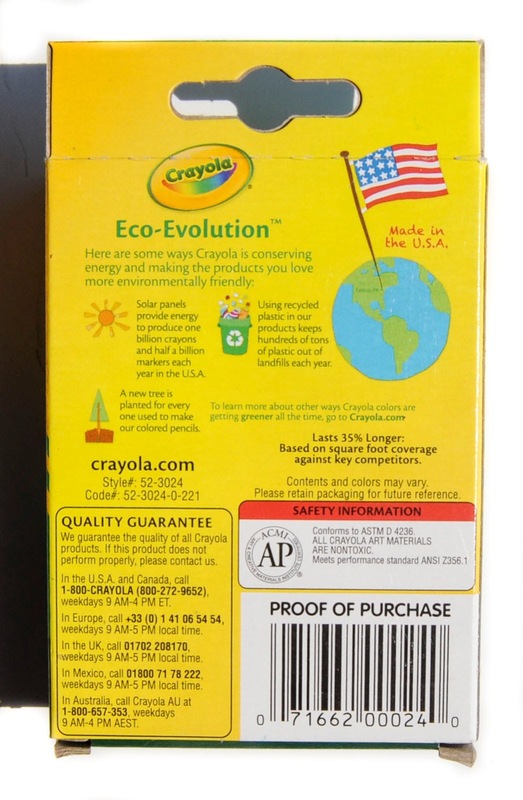 More information was also added to the bottom of the box because Crayola started including more information. A Hallmark Company was added to the bottom of the box. One thing that did not change is the UPC for all three boxes. The information on the back of the box did not change from 2012 to 2013. The positioning of the information did change. This is the bottom of the 2012 box. I need to take a picture of the bottom of the 2013 box. I do not know what the B3E20C7 stamp on the box is. It would be interesting to find that out. This is the bottom of the 2014 box. It is pretty much the same as the 2012 box.